Ever come across a locked gate, a sign telling you to bugger off or any sort of unreasonable behaviour stopping you exercising your rights on access land? Of course you have. No-one here at grough can hold their hand up and say they've never encountered one of the above. Well, now's your chance to let a Government body know about your experiences. Oh, did we mention..? we're only talking about Scotland. 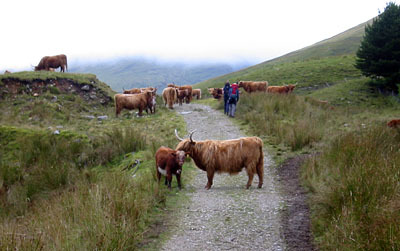 When the Scottish Parliament passed the Land Reform (Scotland) Act 2005, it cleverly included a requirement to consult interested parties on the implementation of the Scottish Outdoor Access Code, the nuts-and-bolts end of the act that determines rights and responsibilties of those of us taking to the wilderness areas of Scotland. 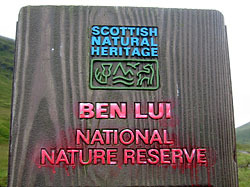 The act, a far superior cousin to its version south of the border, the Countryside and Rights of Way Act, confers rights on users of the Scottish outdoors to wild camp, paddle and generally do the type of thing people like to do in the countryside, while stressing the responsibility to act reasonably and protect the land they're there to enjoy. There have, however, been incidences of estates and individuals seeking to deny the rights the act gives. The Mountaineering Council of Scotland wants you, the people who use the outdoors, to let Scottish Natural Heritage, the Government body that oversees the code, to give it your views on what's working, what's not working and how it can be improved. Submissions should be made to recreationandaccess@snh.gov.uk. For further information, see the MCofS website or at the Scottish Outdoor Access site, where you'll find a form for making your views known, if you prefer to do it that way. So, Westiminster, how about a similar review in England and Wales?